The Enforcement Directorate (ED) on Monday charged embattled liquor baron Vijay Mallya and his two firms for fraudulently "diverting" over Rs 3,700 crore bank loan funds to a UK-based F1 motorsport firm, a T20 IPL team, and for enjoying private jet sorties. The ED's fresh chargesheet against Mallya and his firms is likely to pave the way for him to be declared "fugitive" under a new Indian law. 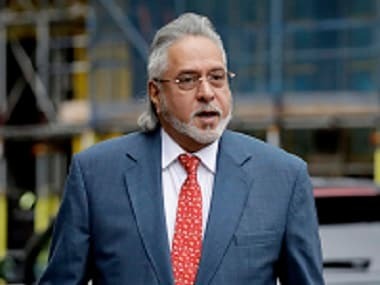 The agency named Mallya and his firms - Kingfisher Airlines Limited and United Breweries (United Breweries Holdings Limited) - in its voluminous prosecution complaint filed before a special Mumbai court under the Prevention of Money Laundering Act. The chargesheet revolves around a complaint received from State Bank of India on behalf of the consortium of banks for causing loss of Rs 6,027 crore to them by not keeping repayment commitments of the loans taken during 2005-10, officials said. The ED had filed an FIR in the case in August 2016 after going through a CBI FIR. "The SBI, which is the consortium leader, has calculated the amount (of the loan) to the tune of Rs 9,990.07 crore (including applied interest) as on 15 May, 2018," the agency said in the chargesheet. File image of Vijay Mallya. AP. The ED alleged that Mallya and KAL officials "hatched a criminal conspiracy for obtaining/sanctioning of bank loan to Ms KAL in gross violations of established procedures and the firm had no intention for repayment of the loan." It charged that the accused - Mallya and KAL - projected the "brand value of the airline as a collateral security inspite of the same being a hypothetical assets and suffering from deficiencies." It said the loans were obtained by placing the corporate guarantee of the firm UBHL and personal guarantee of Mallya, the chairman of KAL. "KAL had offered as a security, negative lien on fleet of hire purchase/finance lease aircraft against the loans availed from the banks despite being well aware that the said security was only a symbolic security in nature and was grossly inadequate to cover the exposure of the banks," the ED said. It added that KAL "acquired" a corporate jet for passenger operations for globe-trotting of UB group chairman Mallya, its senior officials and VVIP/chartered trips and it was stated that there would be surplus income from the operations of this plane. "However, the said jet was never used for the said purpose and mainly used as a personal carrier for Mallya as it catered to his family members and friends," the ED alleged. It said KAL used two aircraft of Ms Veling Limited, by leasing them on very high lease rentals as compared to the market, and allegedly siphoned of Rs 3,432.40 crore funds by "over-invoicing the payments" made to the said plane owning company. It said KAL made payments of GBP 30,348,452.25 (over Rs 254 crore) to UK-based Force India Formula One Team Limited (FIF1TL) and Mallya "surreptitiously transferred funds of the firm giving a false purpose of remittance and thus diverted the funds (loan amount)." Talking about the T-20 cricket Indian Premier League team, the ED chargesheet said, that the Bengaluru franchise of this sporting extravaganza (named Royal Challengers) was purchased by Mallya and "loan amount of Rs 15.90 crore was siphoned of and diverted from the bank acount of KAL held with Deutsche Bank to Royal Challengers Sports Pvt Ltd, Bengaluru." Thus, it said, Mallya "deliberately and intentionally diverted the loan amounts from the bank accounts of KAL to other bank accounts of his interest." The agency said it has attached assets valued at Rs 4,234.84 crore in this case and "by concealing these properties and non-payment of loan amount and diverting the loan proceeds out of India, Mallya and UBHL benefitted from the same and hence they are involved in the offence of money laundering." It charged that some group companies of the UB group, of which Mallya was chairman, did not had "any actual activity and independent source of income" and the beleaguered businessman controlled all these companies through his office personnel. "The directors in these companies were namesake or dummy directors who were at command of Mallya. There are movable and immovable assets in these companies in the form of shares of public listed companies and landed properties," it said. Officials said the agency will soon move a court, after the special court takes cognisance of the latest charge sheet, to get declared Mallya a fugitive under a new Ordinance enacted by the Modi government. PTI was first to report yesterday that after this charge sheet, the central probe agency would immediately seek permission from a court to "confiscate" assets worth more than Rs 9,000 crore of the beleaguered businessman and his firms under the recently promulgated Fugitive Economic Offenders Ordinance. 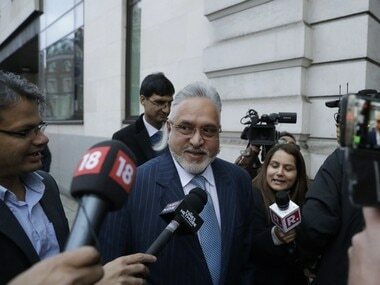 The ED last year filed its first chargesheet against Mallya, now in London, in the alleged Rs 900-crore IDBI Bank-Kingfisher Airlines loan fraud case.